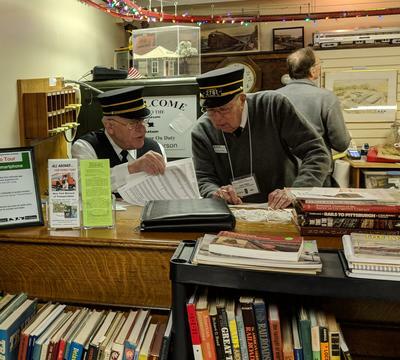 Each February, volunteers from trolley museums in the northeastern United States and nearby Canada meet at one museum to see each other, exchange ideas, make trades, ride trolleys and enjoy the fellowship of the event. This year, the event was held at NYMT. There was much preparation work in the weeks and months before Winterfest, and the event began on Friday, February 15. 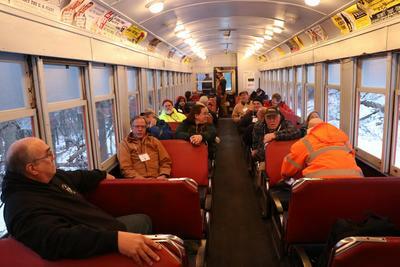 Volunteers began arriving in the morning, and by late morning the overhead power was “on” so that heaters in our two operable cars could warm the car interiors. By early afternoon, both cars were rolling to make sure all was in working order and to give car crews a chance to practice operating routines. the guest through the steps of operating the car and serves as a pilot. The NYMT Railway is considered particularly challenging for motormen because of its steep grades and sharp curves, but this year’s guest motormen did well with the challenges. 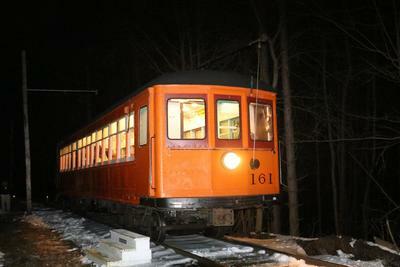 In all, about fifty attendees this year enjoyed guest operation on 161 and 168. The pizza dinner started shortly after 5:00 p.m., and trolley operation was suspended for the next hour or so. After dinner, the crew brought out 161 for night runs. The headlight bulbs we use are not true headlight bulbs so a spotlight is used to illuminate switch points and other locations ahead of the headlight’s glow, and deer. Several deer came out to railfan the railroad so having the spotlight was a big help. Regular NYMT crewmen were used on these runs, and the cars were back in the barn by about 8:00 p.m.
All through Saturday, trolleys were running just as often as we could get one car back to NYMT and the next car rolling. This permitted as many guests as possible to guest operate. A giant book sale also drew the attention of our guests, and enormous sales resulted. With fading light and the Saturday banquet about to begin, the trolleys were placed in the trolley barn, crew cleaned up a bit, and then all made their way to the banquet hall. 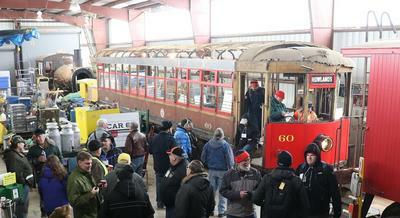 One of the special aspects of this Winterfest was the inclusion of a shuttle train to allow guests to view Rochester Transit Corp. car 60 at Rochester and Genesee Valley Railroad Museum. The shuttle ran from 1:00 to 3:00. All meets between trolley and train were executed with a professional level of timeliness. The banquet was held at the Ely-Fagen Post 1151 of the American Legion, in Henrietta. About one hundred Winterfest attendees filled the hall to capacity. A very fine dinner was served, after which a slide show was presented which showed in-service photos of cars which have survived at museums as well as a brief look at Rochester’s Subway as it was in the 1950s. And with that, Winterfest came to a successful close. Philadelphia and Western 161 and 168 — Jay Consadine and Jack Tripp worked together to oil various bearings on both Strafford cars just before Winterfest. Philadelphia and Western 168 — Bob Sass and Charlie Lowe worked with others and re-wired the cab heaters so all four worked. To keep this heat concentrated in the cabs, the bulkhead doors were re-installed. Track — The track crew snugged up several loose bolts and installed a gauge rod at one spot of wide gauge. 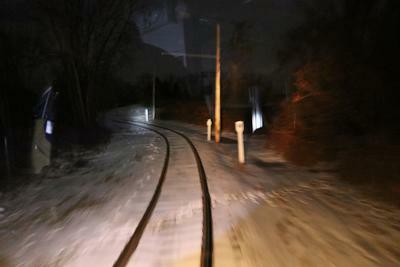 They also opened the derail at Midway to permit passage for RGV trains on the Saturday of Winterfest. Grade Crossings — Jay Consadine made sure the grade crossings were ice-free for the passage of trains both before and during Winterfest. Board — On January 15, 2019, the Board approved the movement of RGV trains north of the property line at Midway as part of the Winterfest event. The Board also determined the event schedule for 2019, and decided upon the 32-foot pit option as the one to pursue further. On February 19, 2019, the Board reviewed the recent incident with a snowmobile and asked that this be reported to the Town. Recent expenditures of $194 for fuses for 161 and 168, and $30 for pails for milking parlor roof leakage, were approved. 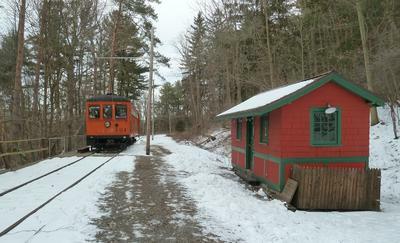 A slightly revised budget, which allocates $1,000 for painting the north end of the trolley barn and $2,500 for applying new stone to the visitor’s entrance roadway, was approved. All shows begin at 1:00 p.m. in the gallery. 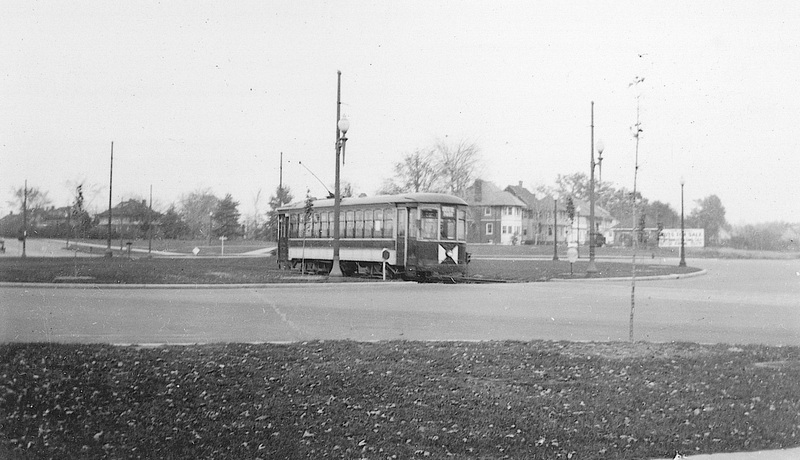 One of the most interesting anomalies in Rochester's streetcar system was at the traffic circle located at the east end of the Veterans' Memorial bridge. The circle, opened with the bridge in 1931, had the St. Paul streetcar line cutting right through the middle of the circle. 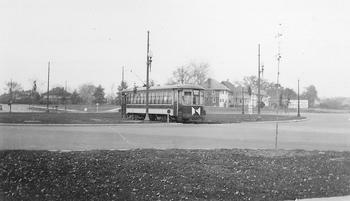 Here, we see a southbound car waiting at the south edge of the circle, waiting for a gap in the traffic to pull out, cross the circle and then travel on into Rochester on St. Paul. Long-time Rochester drivers may recall the confusion at this traffic circle in the 1960s. How could a streetcar possibly have pulled out into rush-hour traffic? The simple answer is that before traffic became too severe, the trolley line was gone. By 1939, cars on the long South-St. Paul line vanished into history. Congestion at the traffic circle, though, became severe enough that, as Rochester's No. 1 traffic headache, it was finally replaced with a bridge for St. Paul about 1968. HEADEND is	a publication of New York Museum of Transportation, © 2019. All rights reserved. No portion of this publication may be reproduced in any form without written permission from the publisher. Winterfest is completed, and we are at a point in the year where we can sit back and enjoy our many accomplishments with that event. Soon, though, another season will be upon us and it will be time to press forward. See you soon-at the museum! 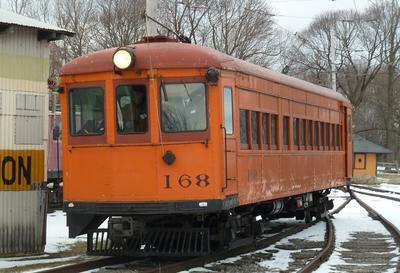 The New York Museum of Transportation is a 501(c)(3) non-profit museum chartered by the Board of Regents of the University of the State of New York. We are managed and operated entirely by volunteers, and the welcome mat is always out for anyone wishing to join our work. Open for visitors all year on Sundays only, 11 a.m. to 5 p.m., we also welcome group visits during the week by appointment. We are located at 6393 East River Road in the Town of Rush, and our mailing address is P.O. 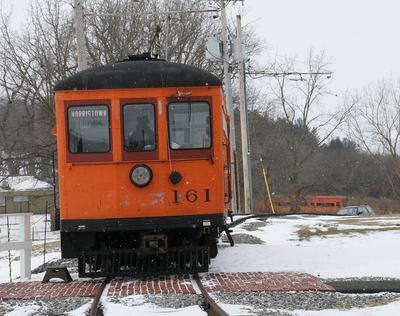 Box 136, West Henrietta, NY 14586. www.nymtmuseum.org is the place to find us on the internet and learn much more about us. Also, you can visit us on Facebook at www.facebook.com/NYMTmuseum. Want to contact us? Call us at (585) 533-1113 or send us an email at info@nymtmuseum.org. And, remember to tell your friends! Consider becoming a member www.nymtmuseum.org/Membership.php .